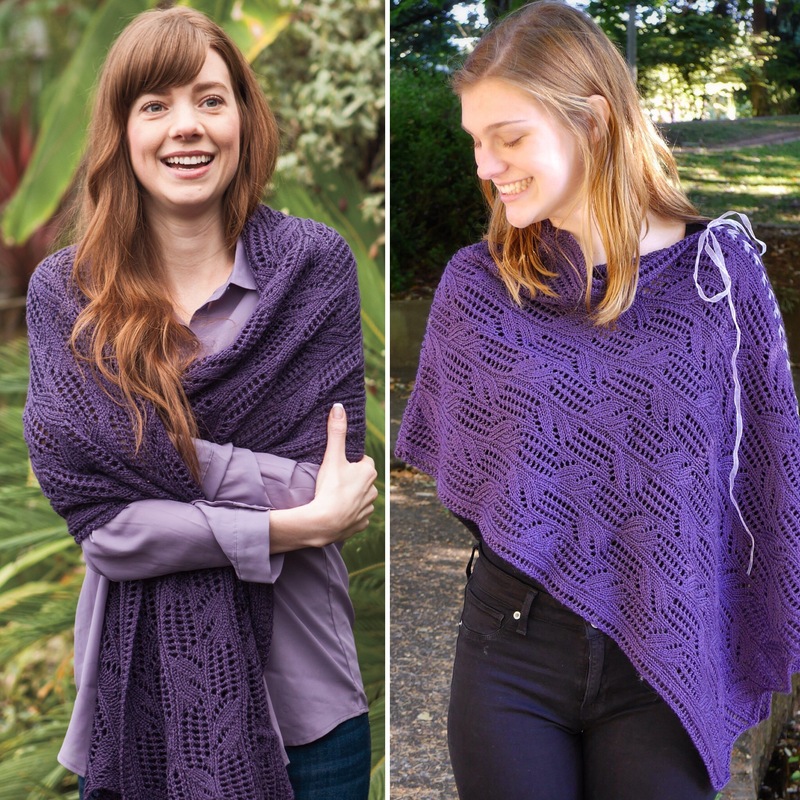 Stole vs Poncho: The readers have spoken! It sounds like it was a good idea to hedge my bets and have Trellis Vines be wearable both ways. I am currently wearing mine as a poncho, but glad to have the flexibility to unlace it later. I do love how ponchos stay on my shoulders. Thanks to everyone for commenting. Random.com has spoken, and the 29th commenter is the winner of the Aura e-book! I’ll send Juanita an email to let her know. I went with my mom and one of my sisters to the Oregon Historical Society to see the exhibit on Portland’s Chinatowns. I didn’t know that the first Chinatown was on Southwest 2nd Avenue; I thought it was always on the North side of Burnside where it is now. Lots of interesting artifacts and pictures. We even saw Mom’s grandmother in a picture of the Portland Chinese Women’s Club Anniversary Celebration from 1948. Cool! The exhibit runs through June 21. Admission is free if you’re a Multnomah County resident, and not a lot if you’re not. Speaking of grandmothers, here’s a picture that has both of my grandmothers. It was taken at an event in 1938 or 1939. 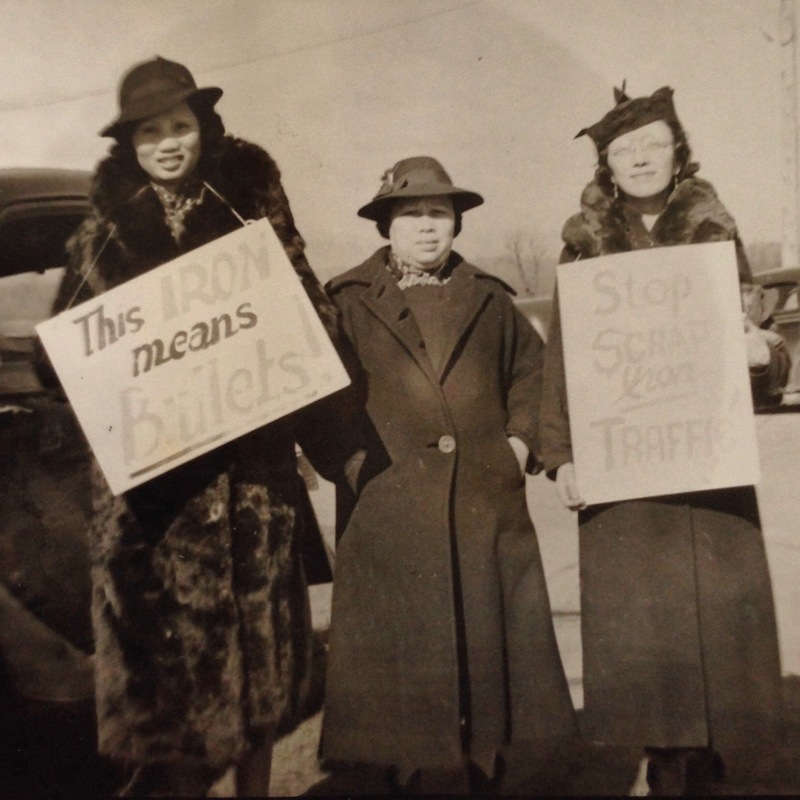 The Chinese community was protesting the sale of US scrap iron to Japan before the US entered World War II. Lily Lee on the left, Violet Wong on the right. (Family friend in the middle.) There were other pictures from this event in the Chinatown exhibit. It was interesting to be able to place this family photo in historical context, and even more interesting to see family members as activists! It’s been a busy few days. How was your weekend? This entry was posted in giveaways, Knit, Portland area fun and tagged aura book, chinatown, giveaway, grandmothers, History, knit picks, oregon historical society, trellis vines. Bookmark the permalink. Very interesting photo. You look like your Grandmother Lee. Thanks, Jackie! I love this picture. I was over at Mom’s last week, and have borrowed some photo albums so I can scan more pictures. My sister and I looked through them with Mom, and it was a fun trip down memory lane! Thank you for posting this wonderful picture of your grandmothers! You are the granddaughter of strong women!